High Court issues interim order barring Prime Minister from preventing railroad work on Shabbat, saying it is Labor Minister's prerogative. The High Court issued an interim order this afternoon (Tuesday) barring the Prime Minister from intervening to prevent railroad work on Shabbat. Only the Labor Minister can make that decision, the courts decided. The order stated that the Prime Minister had issued a directive to the Israeli Railway Authority instructing them not to work on Shabbat and that this directive is now 'suspended', meaning that it is invalid. 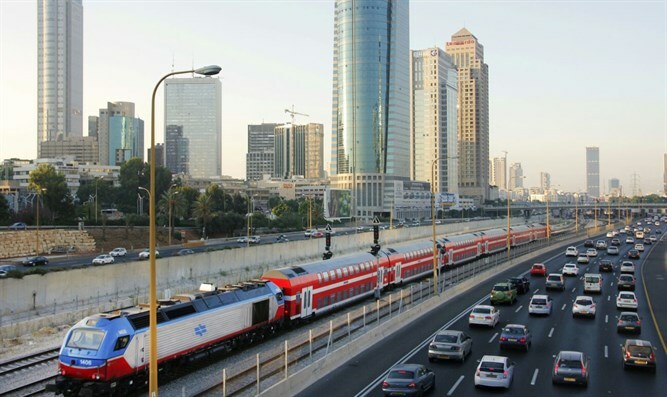 The interim order was given after a petition by leftist MK Zehava Galon (Meretz) against Netanyahu, Transport Minister Yisrael Katz, Labor Minister Haim Katz and the Israel Railway Authority, demanding the cancellation of the decision to stop railroad works on Shabbat. In response to the petition, the State claimed that it was superfluous as it referred to work which had been done the previous Shabbat and that work had already been concluded. Despite this, the State added in its response that the permit for Shabbat work which had been given to the Railway Authority was effective for the entire month of September and that "The Israel Railway Authority can decide on which Shabbat days it wishes to implement the permit and in what way." The agreement with the religious parties is to only do work that might endanger life if left undone. Another way that might serve to get around the ban is employing non-Jewish workers for Shabbat work.